Energy consumption is simply the use of power. Whether you’re driving to work, turning on a lamp or charging your computer, you’re consuming energy. The more energy you use, the higher your level of energy consumption. Most of America’s energy is generated by burning fossil fuels, which creates air pollution and toxic waste, so high levels of energy consumption hurt the environment. By making an effort to consume electricity generated from renewable resources (including solar, geothermal and wind power), you can retain electronic efficiencies while reducing your environmental impact. On the flip side of consumption, there’s conservation. Conservation is the process of cutting down on energy use by going without an energy-expensive service. While energy efficiency and energy conservation are often used interchangeably, there is a small-but-significant difference between these two energy-saving practices. An energy efficient appliance uses less energy to provide the same service as a standard version of the same device. You’d use much less gasoline driving to work in a hybrid sedan than a clunky SUV because the hybrid uses its energy more efficiently. Energy efficient products – from dishwashers to automobiles – allow us to make the most of the energy we’re using, with little to no waste. 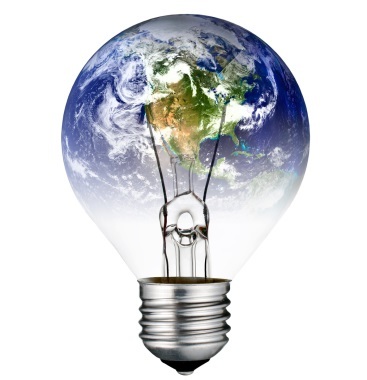 But, if energy efficiency is one step toward a greener, cleaner earth, conservation is a giant leap. Here’s what we mean: You can improve energy efficiency by trading in your old drying machine for a new, Energy Star certified dryer. This new dryer would still consume electricity to dry your clothes, but it would use much less energy to get the same end result. On the other hand, you can conserve energy by leaving your clean clothes outside to line dry. This form of conservation cuts energy consumption out of the drying process altogether. While it’s great to reduce energy use on laundry day, the earth benefits from bigger energy savings when you choose to conserve. Sports – From efficient field irrigation to game day recycling programs and stadiums built with environmental design in mind, many sports teams have a game plan for saving energy this season. Schools – Universities across the U.S. are implementing plans to become more energy efficient. At Clemson University, students and faculty use leftover cooking oil from on-campus dining halls to create renewable biodiesel, which is used to fuel the school’s facilities trucks. Curious to see how Clemson’s rivals stack up on sustainability? Check out our rankings for the greenest top football schools. Social – Social sharing sites like Pinterest offer thousands of creative and innovative ideas for turning trash into recycled treasure. Recycling helps reduce consumption of natural materials, eliminate energy use during manufacturing and conserve the gasoline used to transport new products to store shelves. We can get you started with some upcycling ideas for glass jars, plastic bottles and just about anything else you have lying around.